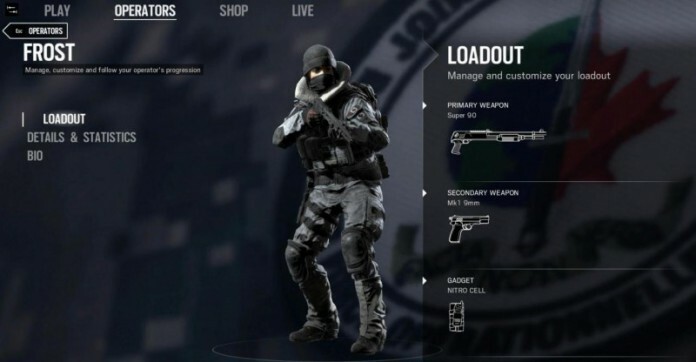 Images of two new operators for Ubisoft’s Rainbow Six Siege have appeared online, offering an early look at the characters set to be included in the game’s next DLC release. The pictures, which were posted on the game’s sub-Reddit, show two characters called Frost and Buck. Frost is armed with a “mechanical trap to incapacitate enemies” and Buck “toggles under-barrel shotgun attachment on his main weapon.” Take a look at both below. Ubisoft has said every new operator coming to Siege in the coming year (a total of eight are planned) can be unlocked through normal gameplay by playing about 25 hours. “The data we have suggests that the average FPS player spends 8-10 hours a week playing their favorite FPS (also in-line with our observation during the closed beta), so it should only take between two to three weeks maximum to unlock an operator,” the developer said. The Operation Black Ice expansion was previously expected to debut in January 2016 but will now be released on February 2. It will also include one new map, which will be free for everyone, and a “handful of new weapon skins” across all tiers. Unspecified “gameplay upgrades” will also be made. Season pass ($30) owners can immediately gain access to the DLC characters when they are released without having to spend currency–in-game or real world.